SARAJEVO, BOSNIA-HERZEGOVINA – On June 26, 2014, the Auschwitz Institute for Peace and Reconciliation co-launched the Raphael Lemkin Seminar for National Genocide and Mass Atrocity Prevention, an initiative to develop a highly trained network of community leaders in Bosnia-Herzegovina and equip them with the professional tools and the personal commitment to prevent genocide and mass atrocities. The Carnegie Council for Ethics in International Affairs hosted the event at Sarajevo’s historic Gazi Husrev-bey Library to coincide with the 100th anniversary of World War I. 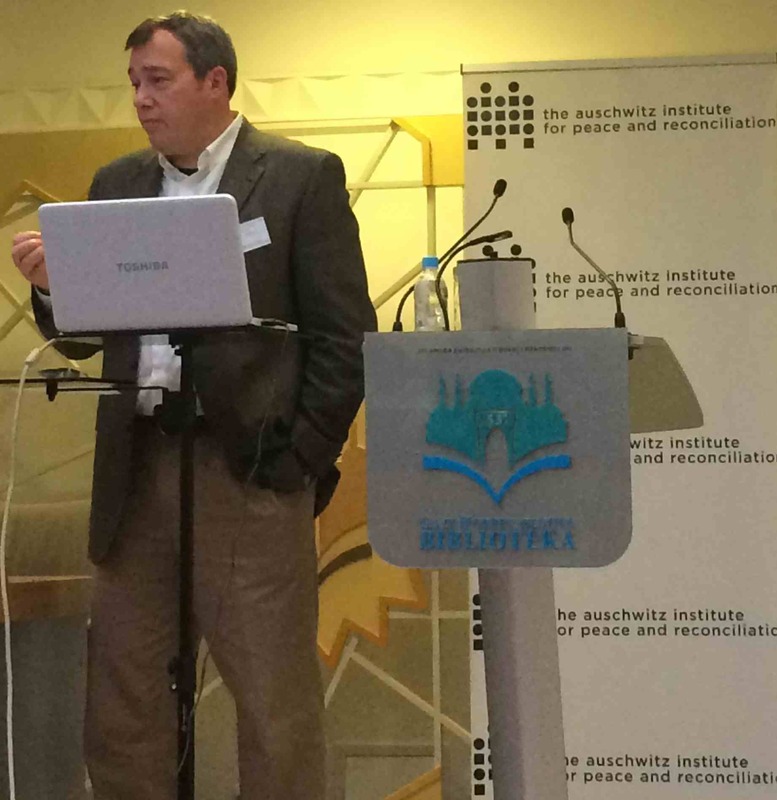 “Our desire is to engage all communities in Bosnia and Herzegovina – religious, governmental, academic, and civil society – and work with them towards developing a network of organizations that would educate and act in the spirit of genocide and mass atrocity prevention,” said AIPR Director of Academic Programs James Waller. 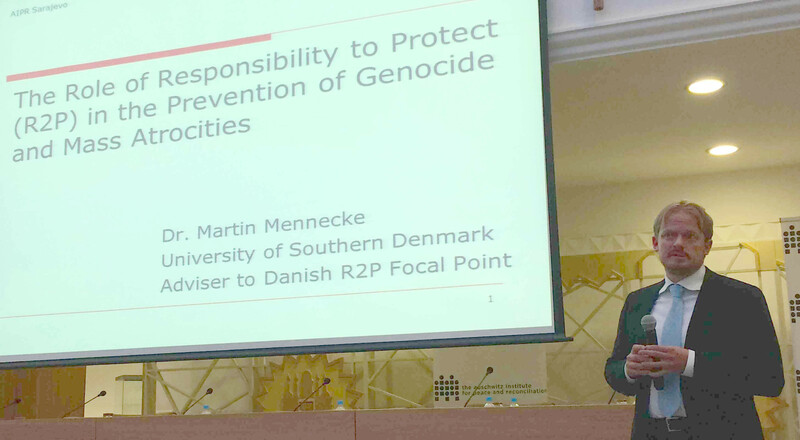 “Ultimately, this initiative will lead to the development of a genocide and mass atrocity curriculum for institutions of higher education in Bosnia and Herzegovina, thus establishing a long-term mechanism to counter the threat of mass atrocities through preventive awareness and enabled action,” he added. The library testifies to more than 480 years of rich and diverse cultural heritage, and at the same time, can help people today understand the Islamic aspects of the multicultural heritage of Bosnia and Herzegovina, and its neighboring countries. Therefore, this library is a great place where we can and must speak about peace, cooperation, understanding, unity and prevention of potential conflicts between nations and states. The program introduced attendees to AIPR’s long-running Raphael Lemkin Seminar and invited input into the development of a four-day training seminar to be held in Sarajevo in 2015. Three sample Raphael Lemkin teaching modules were shared with attendees. Mr. Vahidin Omanovic, Co-Founder and Co-Director of the Center for Peacebuilding in Sanski Most, Bosnia-Herzegovina, discussed the role of identity in transitional justice, Dr. Martin Mennecke of the University of Copenhagen and the Royal Danish Defense College highlighted the role of the Responsibility to Protect (R2P) in genocide and mass atrocity prevention, and James Waller shared insights into the process of genocide and how ordinary people can commit mass atrocities.